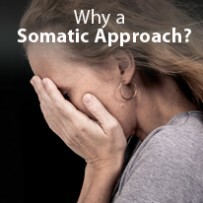 The effects of receiving somatic psychotherapy regular bodywork can aid individuals in coping with and managing anxiety and depression. When emotions are left unresolved over long periods of time, or when they result from a particularly stressful or traumatic event, they can become causes of illness. Unresolved emotions can also result from an imbalanced flow of energy, as well as lead to an ongoing imbalance. Receiving regular Radix® bodywork restores the healthy flow of energy, providing balance to the body and mind. Research has repeatedly shown significant decreases in levels of anxiety and depression in individuals receiving regular bodywork. In these studies, decreased levels of anxiety and depression persisted for weeks following the sessions. An effective approach frees energy in the body and brings emotional and cognitive resolution. In the long-term, this may result in greater relaxation, decreased heart rate, lowered blood pressure, stress reduction, and increased energy. Moreover, the calming effects of a session are highly beneficial to people in states of duress. By providing a space to improve our boundaries, express deep emotions, expand our sense of self and let go of life’s worries, we reconnect with breath and body. The Radix approach can help you return to a grounded state when anxiety arises. In doing so, receiving regular bodywork helps to counteract the damaging physiological effects of stress, anxiety, and depression on the body and, most importantly, helps prevent these states from occurring.